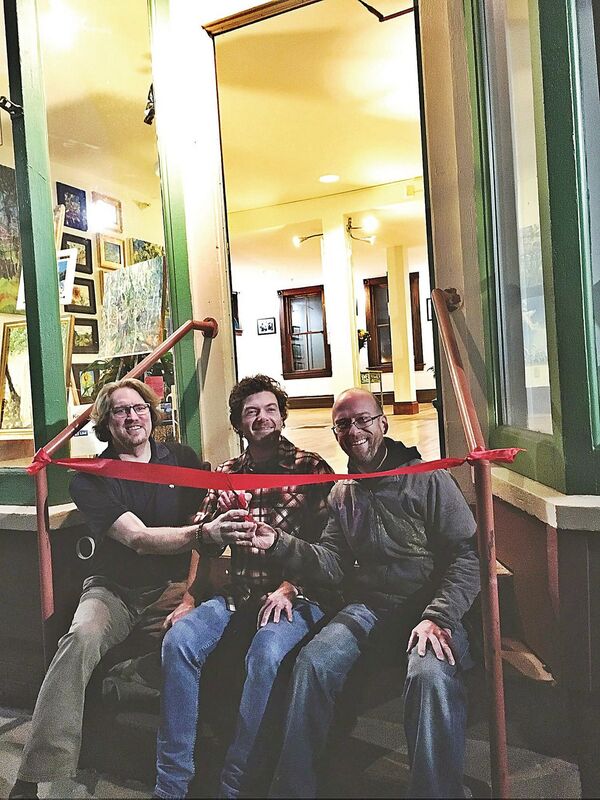 The public is invited to take part in welcoming a new art-based business to the Town of Rockingham Vermont by joining the official Grand Opening of Ad Hoc Art Gallery at 23 Canal Street in the Historic Downtown of Bellows Falls. The Grand Opening will be Friday, November 17th from 5:00 to 8:00pm rain or shine. Original artwork in many mediums will be displayed, and delectable refreshments will served. The Gallery is open Wednesday through Saturday from 11:00am to 4:00pm, and all other days by appointment. The micro-coop space was formed by three local artists who needed a centralized and active location to create and share with a supportive community. They saw a need for a gallery in the town of Rockingham, located on the Great Falls of the Connecticut River in Windham County. The history of, and present population of people with creative energy and vision in this “city-center” of rural America was essential in opening a startup like the Gallery. The choice to be in Rockingham was made more obvious by its close proximity to the Northeast’s major urban centers, as well as the area’s opportunities to market to the region&apos;s year-round visitors and neighbors’ alike. 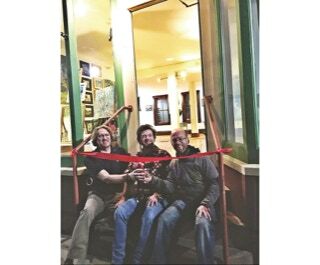 There are many positive art-focused activities that are happening in town that the Gallery will compliment with original art to filling its walls. Within this space the three original artists work together to administer all shows and programs in the Gallery. Emmett S. Dunbar is a Photo-poet, Farmer and Project Manager living in South Londonderry, Vermont. His inspiration from nature along with his passion for farming is being expressed through images from different life adventures. “I think people will connect to the experience and excitement of being in India, and I am pleased to bring this to Ad Hoc Art Gallery and Rockingham.” ESD. Garrison Buxton is Owner/Co-founder of Ad Hoc Art, a multi-faceted creative organization committed to highlighting the areas of street art, pop, illustration, graffiti, and printmaking. Buxton graduated with an MFA from Brooklyn’s Pratt Institute, where he taught printmaking until starting Peripheral Media Projects and Ad Hoc Art in Bushwick, Brooklyn. He currently lives and works in Londonderry, Vermont and executes public and private art projects in New York City and beyond. MC Noyes is a visual artist living and working in Rockingham, Vermont who is known for his oil paintings of the landscape which are alive with color and movement, expressing feelings of nostalgia, doubt, and hope. He graduated with a BFA from the School of the Art Institute of Chicago, and has lived and worked in Boston Massachusetts, and New York City. When Noyes is not painting, promoting, or writing, he can be found pursuing his passions of pastry, chocolate making, music, and travel.